Computer use in artificial lighting can create eye fatigue. AR lenses were proven to dramatically reduce eye fatigue caused by reflections that cause glare. With ordinary lenses, headlights from vehicles and city lights can create distracting images during night driving that stress your eyes. AR lenses dramatically reduce those annoying reflections while letting more light through the lens. AR lenses also greatly reduce the reflections others see on your glasses. Let them see you, not your lenses. Advance optical grinding process that creates a lens surface that is lighter and thinner than standard plastic with less distortion as the wearer looks to the edge of the lens. Also reduces the soda bottle effect of eye magnification/minification. Perfect for those seeking superior optical performance throughout the lens. Lighter and thinner lenses with thinner edge thickness that prevent the soda bottle effect. Perfect high prescriptions. Lenses that change tint from almost clear to sunglass tints based on the amount of UV light hitting them. Perfect for people who engage in extended outdoor activity that do not want separate sunglasses. Ordinary tinted lenses reduce brightness, only polarized lenses reduce glare. Lighter, thinner and more impact resistant than basic plastic with integrated UV protection. Recommended for most patients and minimum requirement for children due to the safety benefit of polycarbonate impact resistance. distances and distance. 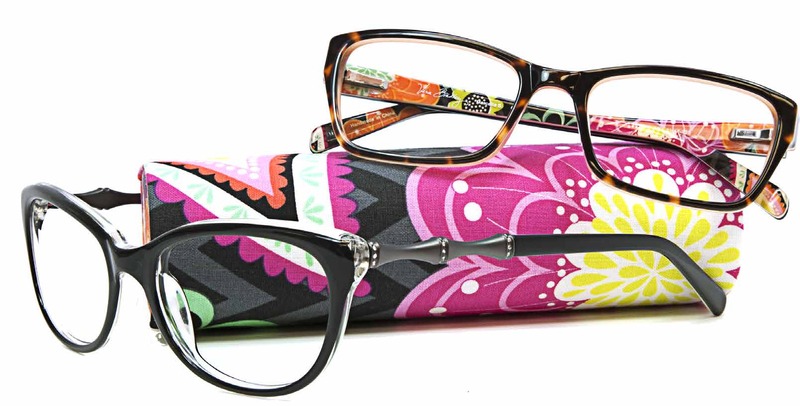 Perfect for presbyopes who want the benefit of multiple focal distances with out lined bifocals or reading glasses. School-age children are particularly prone to eye injuries since their hand-eye coordination, balance, reaction time, and speed are still being developed. Many children participate in organized sports like t-ball, baseball, softball, soccer or lacrosse. Dress eyewear is good for normal everyday use, but is not intended for tough treatment found in sporting activities. We recommend sports eyewear for such patients. Tough two-sided scratch coating for those who are hard on glasses. Included in Crizal anti-reflective. Newly developed lens material that is light and thin, impact resistant, and provides superior optics. Great for semi-rimless, drill mounted lenses and children’s lenses because they combine impact resistance and superior optics. Trivex Phoenix is 60 times more impact resistant and 19% lighter than standard plastic lenses. A condition in which the visual images come to a focus in front of the retina of the eye resulting primarily in defective vision of distant objects. A condition in which visual images come to a focus behind the retina of the eye and vision is better for distant than for near objects. Astigmatism: A vision problem caused by an irregularly shaped cornea. It distorts the focus of light waves entering the eye causing blurred or double vision. Presbyopia: A condition in which the eye is unable to focus on close objects due to a loss of elasticity in the lens. Usually occurs after the age of 40. Glaucoma: There are often no symptoms until damage has been done. It is actually a group of diseases characterized by increased pressure within your eye. If left untreated, can cause blindness through permanent damage to the optic nerve. perceiving colors, and recognizing faces. It is the most common cause of blindness in people over 50 years of age. Diabetic Retinopathy: A common condition associated with Diabetes that causes the weakening of tiny blood vessels in the retina which can leak fluid into surrounding tissue causing blurred vision and severe vision loss. Blindness can result if not treated in early stages. Cataracts: A clouding of the lens of the eye. Usually occurs over a period of years and is caused by a change in the protein which makes up the lens.